There are a number of sensitive subjects that you may encounter at work. Personal issues arise, with you as well as with your colleagues, and you need to be prepared to deal with them appropriately. 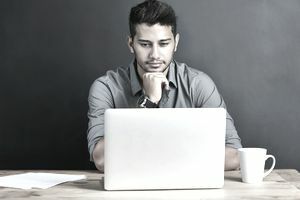 One of the easiest and most direct ways to inform your colleagues about an illness is to send a letter or email message telling a particularly trusted co-worker. Being open and honest without revealing too many details can be challenging, but essential. If you are experiencing a serious health issue, at some point, you will have to tell your employer. While you need to provide enough information so that your needs are understood, you don’t want to unnecessarily burden your manager or colleagues with too many personal details. It’s a fine line-revealing too much can make both sides uncomfortable, and it’s not necessary. It can be easiest if you have a friend at work who you trust and feel close to that you can share your news with. How much you tell them will depend on how close you are, and your comfort level at the moment. It’s fine if you don’t want to let everyone know your diagnosis and feelings. The only thing you need to share with your colleagues, in a ​professional email, are the facts that may impact their work, due to changes in your schedule. This is an example of a letter informing a colleague about an illness. Download the letter template (compatible with Google Docs and Word Online) or see below for more examples. In the first example, in addition to thanking her trusted colleague for assistance, the worker asks her if she would be able to handle inquiries about the illness while maintaining confidentiality. Thanks so much for all your support over the past few weeks, while I've been going through all the screening and tests to diagnose my symptoms. My doctor found that I have a cyst that may be benign, but that will require surgery, some time away from the office, and possibly an extended period of recovery. I have a favor to ask of you. While I am away from the office, would you act as my intermediary to the rest of our colleagues? I know that people will have questions, and they may not feel comfortable asking me directly, and I may not be up to answering right away. I trust your judgement, and would appreciate it if you would keep everyone informed without disclosing anything too personal about my condition or prognosis. Please be honest about whether you think this is something you can do for me. I will completely understand if this would make you uncomfortable, and I will make other arrangements if so. I can meet you to talk about it further during lunch one day this week if you have any questions. In this example, the employee shares fewer intimate details but informs one of his close work friends about his condition. I know that you and the rest of my friends at work have probably been wondering why I have been out of the office so much during the last couple of weeks. I have been undergoing some tests to evaluate the symptoms that I’ve been experiencing. They have found that I will need some treatments, and I am scheduled to begin those next week. During the next few months, I will likely need to reduce my workload a bit, and I have already discussed this with our management. They have arranged for me to be able to work from home, and reduce my hours here in the office until my medical issues are resolved. They have been incredibly understanding and supportive, and I believe that I’ll be back full time before you all start to miss me too much. I am letting you know because we have a long standing relationship, and I regard you as a friend. I’m not comfortable talking about my illness with the whole of the office. I would appreciate it if you would only share the necessary facts with anyone who might inquire. I appreciate your friendship, and your discretion. Feel free to keep me in the loop over the next few weeks. I’ll be checking email, and you can always reach me by phone.